There are numerous benefits to upcycling your furniture as opposed to banishing the pieces to a landfill at the first sign of wear. We’ve all heard the saying “don’t fix it if it ain’t broke” but what about the saying “don’t toss it if it can be fixed”? Society as a whole is quite wasteful but it doesn’t have to be that way and individual choices make a big difference. One person making environmentally conscious decisions can spark a domino effect of change. Around 45,000 tonnes of discarded furniture ends up in landfills every year in Australia. A lot of that wasted furniture could have been upcycled to give the piece a revamped look and feel. 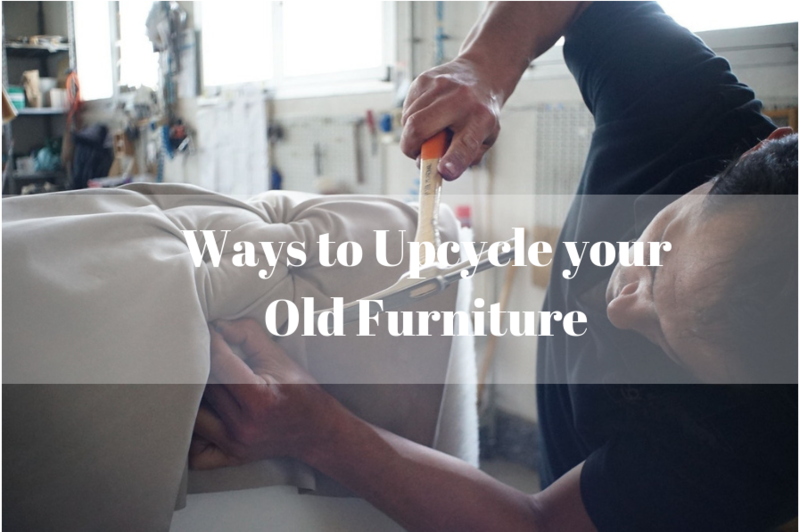 There are countless ways and reasons to upcycle your old furniture that are both environmentally and fiscally beneficial. Upcycling is usually cheaper than buying new furniture and it also allows you to have a say in the creative process of the vibe you want your furniture to convey. Revamping your already loved furniture is a much more personal experience than shopping for new furniture online at Ikea. Upcycling comes in many different forms, styles, and sizes. 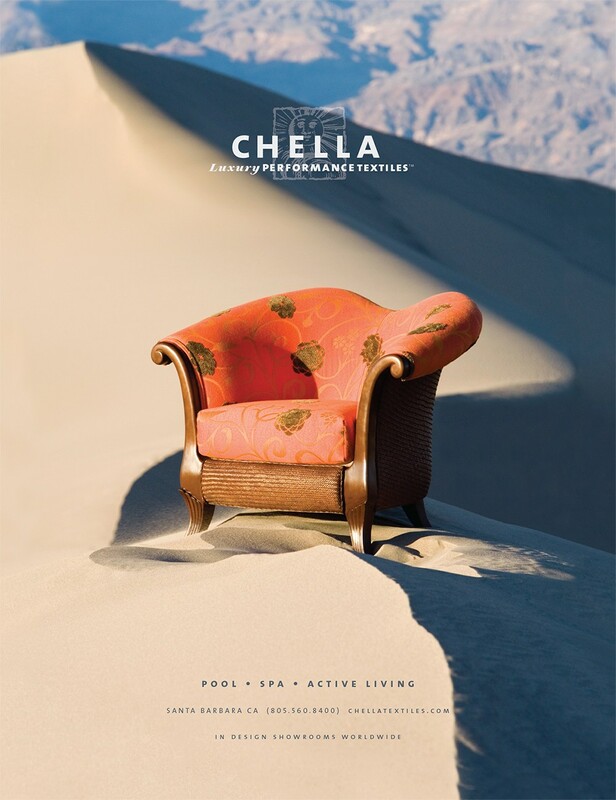 It is truly a form of art to take an item that seems to be at the end of its life and rejuvenate it with a fresh coat of paint, new upholstery, or even fixing a piece that has broken. You can upcycle large pieces of furniture like sofas and arm chairs by getting them reupholstered. This is a great option as you can choose the pattern, fabric texture, and color that speaks to you and give an old piece of furniture a complete makeover. You can also make your old sofas and armchairs more comfortable by having more cushion added during the reupholstering process. Items like desks, coffee tables, and bookshelves can be upcycled with something as simple as a fresh coat of paint or varnish. You can even get funky with the paint job and make it completely unique to you, a one of a kind piece. Upcycling larger pieces of furniture is a great way to reduce your own environmental footprint. One sofa may not seem like a lot to end up in a landfill but when everyone is buying new furniture as opposed to salvaging what they already have it adds up. You can help inspire others to get more creative and less wasteful. If you reupholster your sofa and suddenly your dingy old furniture is hip and comfortable, you may very well motivate your friends to upcycle their items instead of throwing them away without a second thought. Revamping old furniture is not limited to larger pieces. You can do a lot with small pieces or random household objects. An old wooden ladder can easily and quickly become a boho chic plant shelf or serve as a hip blanket holder next to your reupholstered sofa. You can even paint an old watering can and use it as decoration. Almost any piece of furniture or household item can be upcycled in some way, shape, or form. Even if you don’t want to upcycle it consider donating the items before tossing them in the trash and piling up your local landfill. Even if you’re not keen on saving the environment, upcycling can save you loads of money. Upcycling lets you get the best of both worlds as the choice is environmentally conscious and financially sensible. Not only that, upcycling allows you to really make each piece of furniture your own unique piece of art. Think twice before tossing perfectly good items in landfills when you could save money and the environment by saving the items and giving them new life. Call them feature walls, accent walls, statement wall or whatever name you give them; the fact remains that they are incredible interior design features. Whether you want to create a simple or dramatic focal point, highlight for an architectural feature or just a contrasting section of the wall that will have everyone wowed and make your home more attractive, then this is the perfect option to go for. But you’ve to do it right. Not every wall in the house can bring out the best view of the house. You should always select the wall that’s most visible particularly when one enters the house- it should be the wall that the eye is first drawn to when you enter the room. Numerous considerations such as the key focal points in the room and how they would complement with the feature wall must be taken into account to bring out a dramatic look. The choice of the colour is crucial, but there are no rules. You can choose any colour that you feel will enhance the aesthetics of the room depending on the already installed décor. For instance, the choice of colour should always bring out a dramatic contrast so as to come out with the great appeal. For example, you should contrast muted colour with a bold room and vice versa. Be bold with paint colours and don’t shy away from experimenting and going beyond what’s known to be normal. For a long time, the painted feature has dominated the interior designs. But the interior designer in Melbourne feel that it’s no longer a trend to follow and its time could be over. The trending trick is natural patterns and textures of fabrics, wood, metal or stones since they are proving to be more interesting compared to painted feature. Make sure that you have the selected the right textures so as you pull off an excellent appeal. This is another feature that you must put into consideration for you to bring out the best out of the feature wall. The furniture and the rest of the interior décor must be placed strategically to help enhance the overall aesthetics of the room. Avoid obscuring your walls with too much furniture since this won’t work well with the feature wall. Rugs are among the few home décor items that can really transform the appearance of your home significantly. It makes the other parts of your home really come together. Although they can be a bit expensive compared to standard carpet, they always infuse a room with style and warmth, and are seen as an investment. Most panel experts agree that proper choice of colour, texture and feel are the building blocks to having a cohesive rug that fits your space. Before you buy a rug, you need to take on a holistic approach and consider every element in the room. You should consider the sofa and the artwork in the room, and below are tips that will help you to choose the right rug. Before you can purchase your rug, you should put into consideration the furniture, size, shape and wall colour in the room. If you would like to create a harmonious and relaxed atmosphere, consider a wool rug with a muted palette. However, there are those who prefer deeper, moody atmospheres, those folks should go for rugs with richer tones and a lot of texture. The material that the rug is made from determines a lot of the purpose you want it to serve. It can be purely functional or can be simply a touch of luxury in your home. For those that want durability, go for wool blends or natural fibres like sisal or look for synthetic fibres. Although square or rectangular rugs may appear more traditional, they are considered perfect in defining space. Due to fantastic home designs nowadays, round rugs are also impressive and create a beautiful environment. According to many panel stylists, shape rugs add a softness in the room even if they don’t fit in the space perfectly. Square and rectangular ones have to be in the right size but can also look great. Round rugs look very charming especially when placed under well-designed round chairs and tables. Children are very sensitive whenit comes to rugs. A durable rug with an elegant look should be of consideration when purchasing a rug to suit your child. Texture, weave and patterns matter a lot too. Most parents consider a wool blend rug since they makes the feet feel great and are good for children. Most children like sitting and playing on the rug, hence the need decide on a lovely patterned rug. A graphic rug with a two-tone thread is a perfect for any kid. As mentioned earlier, rugs can be expensive especially when you need a big one. However, there are some colourful and inexpensive rugs in the market. There are many great options, depending on the purpose of your rug. When it comes to home décor, interior designs should capture visitor’s attention and make a statement. As a matter of fact, any design should enhance your home’s aesthetics. But pulling off a striking look is not that easy. That’s why we always advise homeowners to hire experts to help them pull off a standout yet classic look. With their experience in the industry, interior designers can help to produce an incredible look even with limited resources. They can do magic with the little that you have. With more homeowners seeking comfy and cosy homes, interior home designers are becoming more creative. This year, numerous new interior designs are already making it big in the industry. In this piece, we are going to take a look at the trending interior designs for bathrooms, kitchens and bedrooms that can transform your place like never before. The kitchen is the heart of today’s homes. In most homes, the kitchen is the room with the most financial value. It is also a place where we cook, enjoy food and socialise with family and friends. Apart from that, a kitchen defines your home’s beauty, and that is why it should be kept looking at its best. With proper interior designs, you can change the look of this space by just changing and adding a few things. Even if you are not planning for a total re-do or renovation, various trendy updates can change the appearance and ease of operation in your kitchen tremendously. Here are the trending interior designs that will change your kitchens for real. Smart kitchen is definitely the most trending interior design. 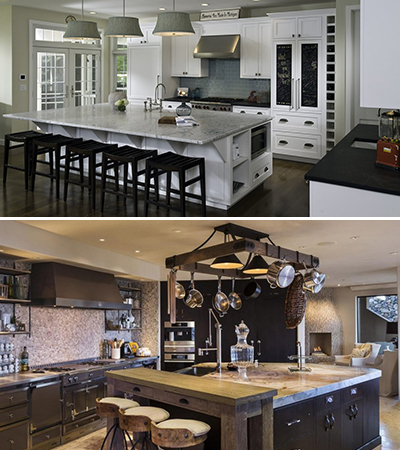 With advancement in technology, kitchens have been adapting to these changes in a great way. There are numerous innovations this that has made the kitchen much more user friendly. Unlike the past, today you can have the kitchen fully automated. With a smart kitchen, you can have every function and appliance including lighting, fridge, faucets, and water heater amongst other things. 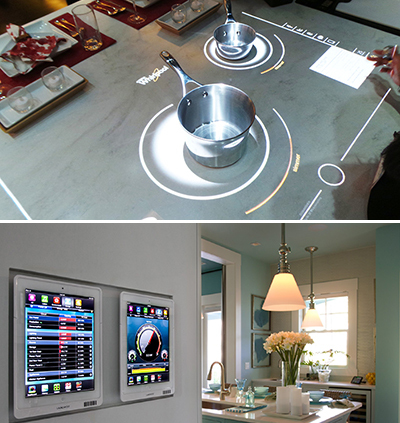 For order kitchens, you can have the sensors, and smart gadgets installed to make them smarter. Imagine having sensor-equipped faucets in the kitchen that can sense a hand’s presence. You can also have a fridge that alerts you anytime your grocery runs low or a coffee maker that automatically makes coffee when you wake up. These are just of the ways that smart kitchens are making life better and why they are trending. This was a trend that was introduced in 2016 and started to pick up very fast from the beginning of this year. A huge number of people have been upgrading from the laminate to quartz for their bench tops. Quartz worktops are made from natural stones that add more value to the kitchen compared to the laminate. Just like granites, they are best known for giving the kitchen a refined and polished look. Quartz bench tops are very sophisticated in appearances, and they will definitely change the way your kitchen looks. Quartz provides a hard, solid surface that makes it extremely durable. It’s not prone to scratches, stains and therefore, it will not wear out that easily. Another thing that is making it popular is the fact it’s easy to clean and virtually maintenance free. In any kitchen design, cabinets play a huge role in aesthetics. From their colour to the placement and designs, cabinets have for a long time been used to give the kitchen a striking look. 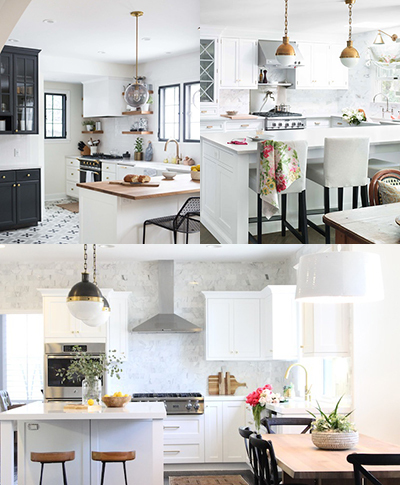 It’s indisputable that white has been a dominant colour in the kitchen cabinetry. Its clean look has been the main reason why most of the homeowners insist on having white colour for the cabinets. Although it’s still expected to remain popular in 2017, there are a few designs that are proving quite significant when it comes to cabinet colours. Expected to pick up this year is the grey colour for the cabinets. The colour is mostly associated with elegance, and this is the reason it’s picking up quickly. It’s mostly popular with homeowners who want to give their kitchens a luxurious feel. Black is another colour that is slowly making its way into the kitchen designs. Black cabinets produce an elegant and deeply rich, luxurious kitchen atmosphere. Though homeowners might not do away with white colour, grey and blacks colours are already trending colours in 2017. Space creation and storage efficiency are two main features that are setting trends in the kitchen designs. It’s always a challenge to balance between the kitchen cabinetry and space utilisation. In most cases, the structuring of the shelves and the drawers ends up wasting a lot of spaces. In some cases, space might be too small for some larger things or the opposite. On the other hand, canbinets that are too wide can eat into the space left for other appliances. Such inefficiencies are already setting the trend in 2017. 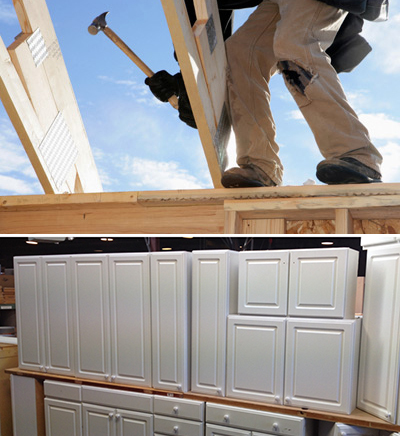 To address these inadequacies and ineffectiveness, homeowners are looking for better storage solutions with the cabinetry. Among the most popular cabinetry trends include dividing for utensils and cutlery, tray dividers, caddies for pots and pans, pull-out for spices and decorative wicker baskets among others. These designs are meant to enhance storage efficiency, and they are expected to trend throughout this year. Homeowners have come to realise that they cannot get a facelift to their kitchen if they still retain the same appliances. You can redefine every part of the kitchen, but the appliance will still give that feel of the old kitchen. Some time ago, the colour of the appliance was all white, and it was never a concern to many including interior designers. 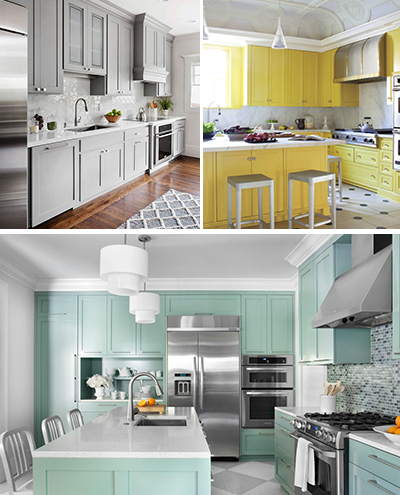 Today, homeowners are more interested in the tone of the appliance to enhance aesthetics of their kitchen. 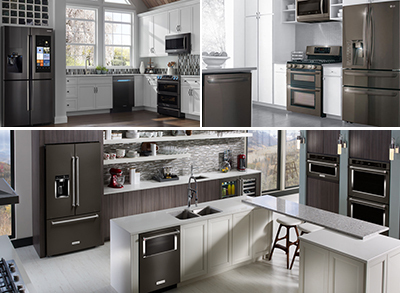 The hottest trend this year is black stainless steel appliances. Homeowners are quickly doing away with all white appliances and are embracing a wider range of tones around the kitchen. More interesting is the fading away of the must-have commercial ranges in most of the Brisbane homes. More and more homeowners are for the cooktops designed with separate double wall ovens. Although expensive, these enhanced aesthetics are the reason for their increasing popularity. This is one of the trends that captures attention and make a statement instantly. What has made juxtaposition popular is the ease of executing and how flexible and versatile it can be. All you need is to turn things around and create a unique match-up. For instance, you can do it between the flooring and the cabinetry. This will fit very well with a sleek/polished cabinet and a textured floor that is more rustic. Such juxtaposition will give the space a classic look. Kitchen islands have been here for some time but have been redesigned to improve efficiency, ease of use and aesthetics. They were previously designed to be narrow and small in size. This could only support food preparation and occasional breakfasts. Now there is a new trend of larger kitchen islands that are designed to not only for ease of use but also to make a statement. What is making them popular among homeowners is its versatility. They can have the storage cabinets and can also be fitted with various cooking appliances. Apart from that, they can also be used to serve dining and drinks. With the current craze about the large kitchen island, it is expected that the design might soon extend into the living room. For a long time, kitchens have been a dangerous place for the pets. But this is slowly changing with 2017 being the year when this has been taken a notch higher. There are trending designs meant to make kitchens user-friendly. This is being achieved by installing floors that are pet-friendly. Most kitchens are also being designed with feeder stations, pet food storage cabinet and playing spaces for pets. This makes it comfortable and safe to have pets in the kitchen. Decorated cabinets are meant to be fitted in kitchens, but this has changed recently. The trend has now come into the bathrooms. Pure black or navy blue cabinets will make a very luxurious bathroom. Gold fittings and clean white countertops will always make it have an outstanding look. Metals in the bathroom can improve its aesthetics significantly. Initially, people used gold and brass in their bathroom to make them more glamorous. However, with improved bathroom technology silver metals and darker tones have made a breakthrough into the market. They are giving the modern cabinetry a beautiful and attractive look. 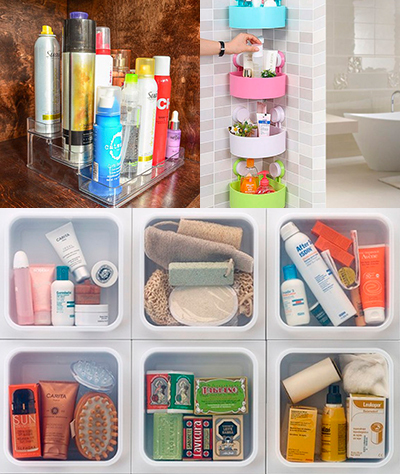 Storage is very necessary when it comes to a decent bathroom. Use the lidded basket to keep any dirt. Also, have honeycomb wall shelves to keep the nail polish and other things. Pink colour has been used so much in the last few year and hence the need for a change. Sea foam green has promised to be an excellent colour in the bathroom. It has turned to be a stunning tile colour especially when you are using marble countertops and also a colourful rug. 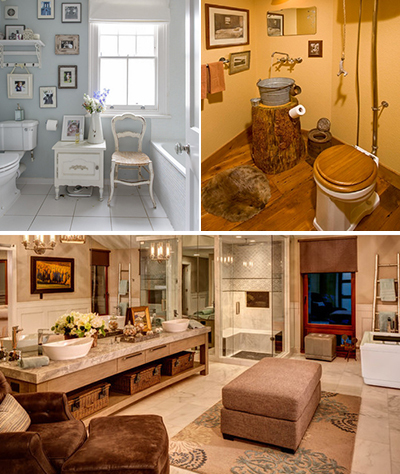 In the past, people thought the bathroom was just a place for bathing. However, this is not the case anymore. The bathroom has become a place of refreshment and also somewhere you can do a manicure and pedicure. You can install some of the furniture like a cosy perch to help you in painting your nails among other things. Turn your bathroom into a luxurious space with a freestanding tub. They are here to make your dream come true. They look exemplary neat when installed in the bathroom. However, they require plenty of space, but this is not an issue considering how your new bathroom will look. Besides looking smart, a bathroom should be spacious. 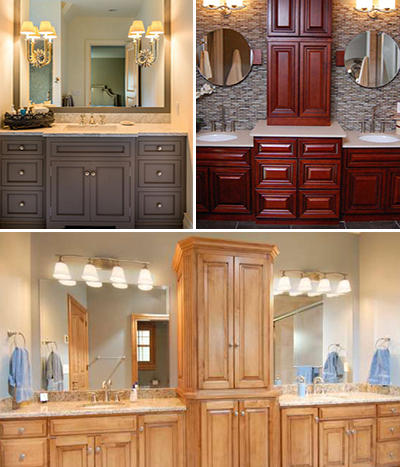 One of the things that make the bathroom look congested is the way we install our furniture. Don’t entertain large cabinets in your bathroom. Make it lean and also have simple small knobs and handles. This will make your bathroom look organised, neat and spacious. Having the same type of tiles in your bathroom may not bring the best feeling you may want to have. You can select different types of tiles and put them in different parts of the bathroom. Different colours play a part in a bathroom, but you should focus on the more modern looking ones. A bathroom is a place where you should feel proud of once you have completed the renovation. You should add some cool factor with a dedicated, modern vanity. Put a small table and a stool where you can do your morning makeups routine in a special way. This makes your bathroom look extra sumptuous and place that you would never want to leave. 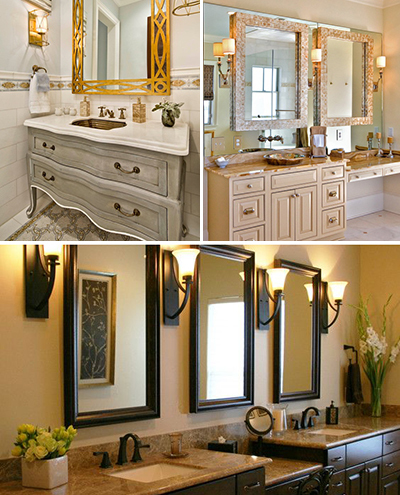 For you to make your bathroom look glamorous and attractive, you must come up with new designs. The trending design is the use of tiles which have a pattern on them. Many patterns range from the modern geometric shapes to vintage inspired tiles among many others. Patterns have a rustic charm that makes a bathroom look lively and gorgeous. Dark walls have become a trending pattern in modern bathrooms. Cabinets painted the same as walls will give you a perfect look. You can bring a slight contrast in natural textures by ensuring you have a wooden frame mirror. Modernization has brought a lot of new wall design. A wall without any unique design makes the bathroom loo dull and not welcoming. Fish and aquarium themes have been confirmed to bring out a superb effect on the modern bathroom. However, stunning artworks like bold wallpaper prints are trending, and this has made led to bathrooms becoming more gorgeous. The first impression that hits your brain when you get into a bathroom is the products inside. A bathroom with more sumptuous products like photogenic soap products looks more attractive and gives a nice and welcoming feeling. Elegant shelving where you put your products is recommendable for any stylish bathroom. Back in the year’s, people used to put rectangular mirrors in the bathroom. However, this has been changed a lot with the use of round mirrors. They look so glamorous compared to their rectangular counterparts that were used for in the past. Is your bathroom looking congested? Well, wall-mounted faucets are some of the bathroom’s trending designs this year. Apart from creating space, they will also make your bathroom look more organised and elegant. It is a great design for those struggling with small bathrooms. These are the newest types of tiles that are trending this year. They have a slight variation with the currently used subway tiles, but they still maintain a fresh, feminine vibe. You can use blue pastel tiles and mix it with a gold cabinetry to make it more glamorous. You can also opt for Pantone-friendly green tiles together with luxurious marble shower. It is the dream of everybody to bathe in a bathroom with elegant accessories. It makes you feel as if you are in your private retreat. Quirky tools and potted fern will always make the bathroom look fashionable and updated. The bathroom is the place where the best lighting accessories and fittings should be seen. As its trending, a colourful pendant or a glam chandelier will make it look awesome. A fun light fixture will also compliment a major personality onto your bathroom. If you want to know how your design ideas would look like before you do the actual work, you can make use of these online tools for home interior design. Climate is crucial when it comes to designing your home. You should study the climatic conditions of the area that you are living so that you can design your home accordingly. For example, the climate of Brisbane is very different from that of Melbourne. Employ a designer who is capable of designing your home with regards to the climate of that area. You can’t imagine enjoying living in a hot area in a house not well ventilated. The high temperatures would make it a terribly uncomfortable place to live. Temperature changes can be challenging if not handled carefully. When redesigning your home, you should consider having a good air conditioning zone. A comfortable home is the one that has tolerable temperatures. High and low temperatures sometimes make the life difficult in a home. 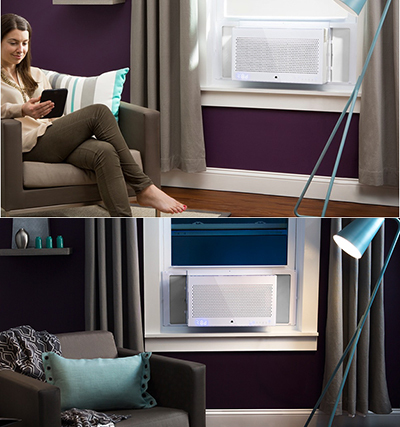 With a smart air conditioning device, you will be able to enjoy your home to the full. Redesigning your home is not only about changing your furniture, re-painting walls and changing lighting fittings; it’s also about reducing energy consumptions. Due to modern technology, there are many lighting systems that you can now use to reduce energy consumption. There are LED lights with less power consumption that still produce good lighting. You can also get newer appliances like fridges and heaters that consume a considerable amount less energy. Be smart when investing in appliances and lighting and you will enjoy the benefits of consuming less energy such as saving money and the environment. The choice of building materials always dictates the outcome of any home build. To avoid the cost of construction, some people opt for short cuts. Cheap materials will not however produce a desired quality. The right materials always create the best designs and also make it easy for the designer to work their magic. The quality of the work done will be visible and you will get long term value for money. The size of the rooms is a crucial factor to consider when designing your home. Small sized rooms will make it look congested while too large room with nothing inside do not look good. Large rooms require a lot of furniture to look beautiful. This increases the cost of designing the home. The number of occupants will also determine the size of the home. A family of two people may not require a large home since extra rooms will not be used to the same extent. Be smart when it comes to the size of your home, and save yourself a small fortune in the build. For your home to look classy and elegant, you must invest in your home interior design. We all want to come up with good designs that will make our living space look superb and attractive. A well designed home earns respect even from passers-by. However one thing that is common among interior design trends is that they keep changing from time to time. It’s always good to know what is trending in the industry. Below are some of the trending home designs that will give your home a striking, modern appearance in 2017. If you want to make your fittings shiny and bright, ensure they have the right finish. Satin brass is the best when it comes to providing an excellent finish. It has a reflective golden finish that makes your furniture look luxurious and stylish. Satin brass can easily compliment with a numbers of styles thereby making it more versatile than any other finishes. It makes a magnificent finish, especially in the kitchen. You can easily find tiles to compliment a satin brass finish, and this will bring an eclectic look to your kitchen. White is known to be a popular colour when it comes to interior designing any home. It is seen as clean and makes the walls look brighter and cleaner. However, it is not advisable to have the whole house painted white. You need to mix it in with other hues to bring the best effect for your home. For example, in your bedroom, you can have the wall painted white with the coloured off-white linens to add a creamy and tasteful touch to the room. Laundry rooms are very important when it comes to designing your home. You should ensure that the laundry machines are placed in the best locations in the room. Smarter storage and also better functioning of the will make the arduous task of doing the laundry more bearable. Spend on a decent design for your laundry room, and you will feel home in there. 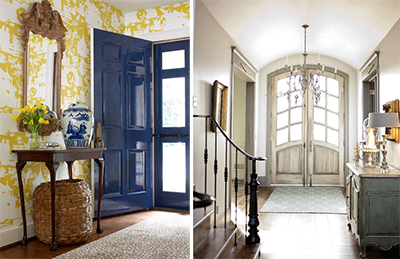 The entryways always dictate what to expect in any rooms. There are several ways you can design the entryways to make them look more attractive and beautiful. Tiles do not make the best entryways compared to wooden flooring. When fixed well by an expert these can make your entryways look gorgeous. Unlike tiles, polished wooden boards are not affected by changes in temperature, another reason why these make a great choice. If you want to make your entryways look awesome, don’t be afraid to invest a little in their appearance. Counter depth fridges have come to solve the problem of space. Their size ranges from small to modestly sized, for all kitchen types. When fixed properly they sit flush with the cabinetry and the countertops. Due to their streamlining look, they create more space to makes your kitchen look neat and spacious. Back many years ago used to have so many upper cabinets on the kitchen walls. However, this has changed nowadays as you can create a hardworking kitchen by ensuring you have a single storage wall. It also makes your kitchen look more spacious and well aerated. Purchasing a home is an easy choice but designing it to pull off as striking and elegant can be difficult. Do proper research. With a lot of interior designs trends popping up, you might become confused as to what style you want. Although most people rely on old-fashioned paper media for designs, it is possible to do it via many online platforms. Online tools will give you a chance to look at what your home might look like even before you can start any construction work. It makes it easy to design things the way you want especially when it comes to the interior. You are assured of accuracy in this method unlike with paper sketches and graphics. Below are some of the online tools you can use to design your home. This is one of the easiest to use online tools that can help you come up with the perfect design. Floorplanner comes with a lot of different options that you can use to customise your plan. With this fantastic online tool, you can just design your home, garden or even your office within just a few steps. It has a library of objects which you use to make any design you may want. With this site, it is easy to create and share your designs online. This helps in interacting and exchanging your ideas on the possibilities of your new home. This is another easy online tool to use. With it, you can easily drag and drop options with their room planner tool. 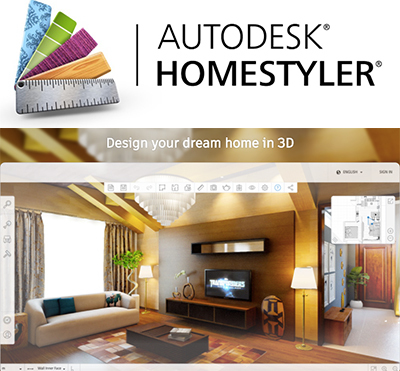 Autodesk Homestyle also helps you in decorating your designs. Using this you are able to have a clear idea of what your home will look like after construction. If you want to create floor plans, again this is the best online tool to use. To ensure you are confident in what you are doing it has a library in which you can go through at other designs from other designers. This inspires you to continue using the tool and also make changes to your designs as you may want. 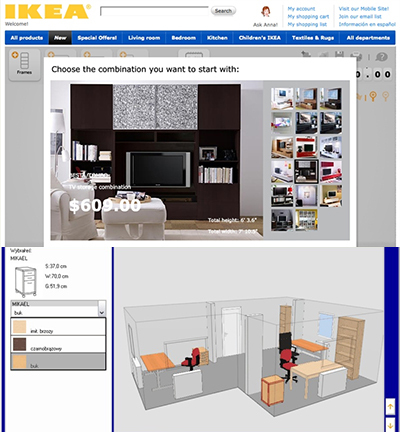 IKEA planner can be termed as one of the best digital tools when it comes to interior designs. It is a Swedish product from the globally renowned brand. It is a user-friendly tool for interior designing. It has furniture in it, and you can use it to determine whether your sofa will fit in the room. It also covers places like kitchens, home offices and living rooms. HomeBase is a planning tool from the UK. Like others mentioned above, it is capable of doing all your interior designs until you are happy with your future look. Besides that, it has a unique feature such as the calculator that estimates the amount of paint required on the floor and walls etc. This helps in determining the overall cost of the interior designing of your home before you start with the hard work. What makes Sketchup popular with home designing is that fact that it’s 3D modelling software. It has two types of versions: the free one and the paid version. It has tutorials that help you to familiarise yourself with it and is great for realistic imaging once you learn to use it properly. Setting up a home office is not an easy task. There are numerous internal and external factors that you have to deal with. A lot of distraction from the surrounding can make your office work extremely difficult. To an extent, a home office can give you stress. 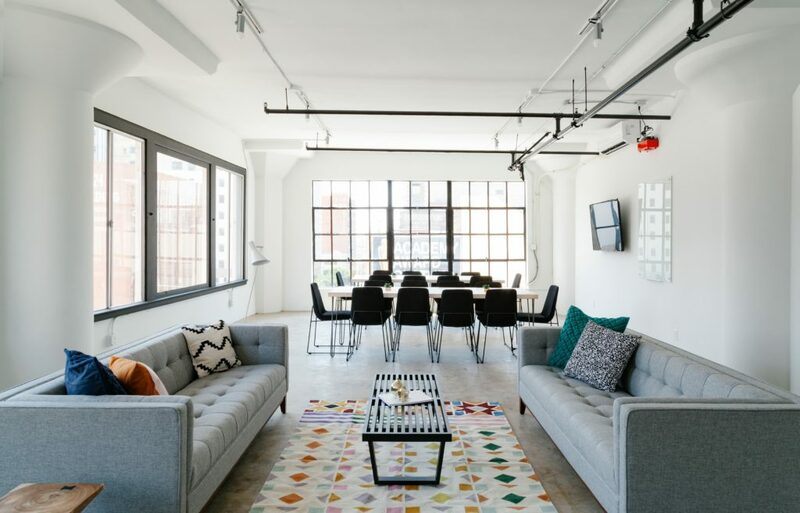 However, there are factors that you can consider while starting an office in your home to avoid disturbances. 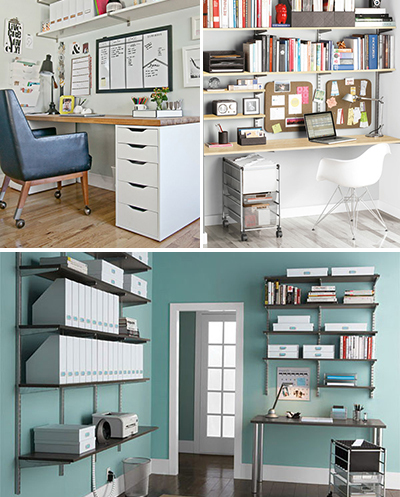 Below are several such to assist you in designing a perfect home office. Poor selection of the furniture can make operations in the office very difficult. Before you can start working in that office, you need to have comfortable chairs. Pick ones with several customization options. This is to allow your body to move to different angles so as to avoid weariness at the end of the day. Have a reasonable space for your desk. Studies confirm that a cluttered workspace decreases the productivity of human beings. It is always advisable to think big before purchase furniture in that room. Take a pen and write all that you need in the room before buying anything. This will guide you in coming up with the size of the desk and number of chairs you need. A spacious room also is good for air circulation. 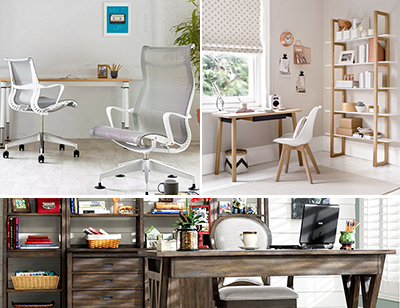 Light is essential when it comes to designing your home office. The room you decide to convert into a home office should have natural light a plenty. Offices that have access to natural light from the sun are far better than the ones with artificial light. Most people whose offices have windows that allow sunlight to pass through enjoy much better sleep at night than the one whose windowed are opaque or have no natural light. Try to balance the natural light with the artificial, and you will enjoy working at home much more then you otherwise would. The way you have organised your home office dictates a lot. The smarter your office, the more lively you’ll be in it. Don’t allow books, files and others items to sit around on tables and chairs in a clutter. If your space is a bit small, you can utilise vertical shelves to arrange things. If you are not using anything, e.g., a printer or any other thing, keep it on the shelf or out of sight. This will ensure that your office looks smart and spacious always. You can go wireless to keep your room smarter as many cables throughout the room take up a lot of space and look ugly. Many people think that you should remain dead quite in the office. Sometimes people actually work better with a little bit of noise in the office. You can have some background music in your office. This will keep you lively, and keep away boredom. The only thing required when having music in your office is to have some discipline. High volumes will make you lose concentration so try not to get carried away. You’ve got the perfect furniture and the right rug, your room has enough light, and everything looks great, but something is missing. Your walls are bare. The colour just isn’t sufficient to bring your room to life. It’s a common, and slightly annoying, issue with most homes. But we’ve got the perfect answer for you – wall art. Whether you have a small or large space to work with, wall art can be customized to suit size, aesthetic, and preference. In our latest post, We look at the various ways you can decorate your walls to give your home that extra edge. 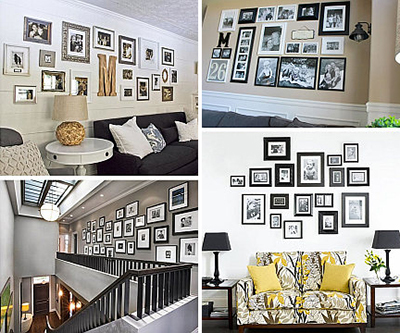 The first step is deciding if you prefer a modern, vintage, or classic look for your walls. If you want a little bit of everything then there are also some contemporary options that provide an eclectic, but a classy mix of all the favourite styles over the last century. Wall photographs add a unique and personalized touch to your home. Adding a classic black wood, plastic, or metal frame creates a look that makes the picture stand out without taking away the essence of the photo. The matte backgrounds – with a choice between white and black – give the photo a clean, finished look. Your beautiful art will be protected by a durable, but easy-on-the-eye multi-functional frame. 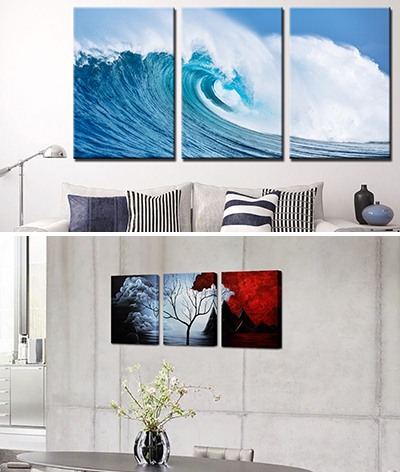 You don’t have to be a photographer to have beautiful scenes displayed on your walls. And there’s something particularly special about urban, abstract, and natural photography. The person behind the lines considers several elements before getting the perfect shot – from lighting and angles to timing and technique. A professional photograph captures a lifetime the stories in one well-timed, utterly unique second. Doesn’t this story deserve to be displayed? This is where your creative prowess gets to shine! It’s a trend that’s been brewing for a while and is now being used as wall art in homes across the world. High-quality images are split into 3 or 5 panels, creating a fresh, clean style with a touch of tradition. The softened, rounded lines of the photo perfectly complement the stark lines of the split, turning your art into a rich mix of modern, stylish décor. It’s also versatile –images come in a range of sizes, and the edgy look allows it to be effective regardless of how small or large your image is. When a print is wrapped around a canvas, the look almost appears three-dimensional. And it certainly stands out. The canvas wrapping creates a textured finish, and at times, produces a slightly old-school, authentic look. Combining this with a photograph displays an interior that teeters between modern, traditional, and contemporary. As the picture moves behind the edge of the frame, it’s firmly stapled at the back. The result is a stunning view of an infinite photograph that seems to go behind the wall and carry on forever. If you’re going for a modern wall art look in your home, then it’s natural to lean more towards photographs than paintings, but don’t discard this option just yet. Like photos, a picture tells a story, but instead of this story captured in one second, it’s caught in many dimensions – from the stroke of the brush to the mixture of the colours, a painting can grab the eye and make you do a double-take. Everyone has their interpretation of paintings, bringing in an elusive, but exciting element to your home. Choose from acrylic, watercolour or oil paintings – each style has its nuances and characteristics. Wall paintings also come with variety – and watercolour, acrylic, and oil paintings each have their nuances and roles to play. First developed in the 1940s, acrylic paint maintains superb colour retention and contains agents that allow it to resist the harsh effects of the sun and its UV rays longer than oil base paints. It also dries faster, which means that other artistic elements, such as charcoal or pastel, can be added to the artwork, creating a multi-dimensional piece. Because of its ability to expand and contract without splitting, it retains a sleek, beautiful sheen for longer. Oil artworks add depth to a picture as light refracts through the layers of oil. This method also allows the work to be presented in detail, providing an interpretative contrast between light and dark. Oil paintings take about six months to dry, so the work is rooted in permanence and stability. The clarity of watercolour paints gives it an inner brilliance that you won’t find in acrylic and oil paints. Watercolour paintings are ever changing because the colour comes from the light bouncing off the white paper and then reflecting through the pain – it’s fluid, it moves, and it appears to shine from within. 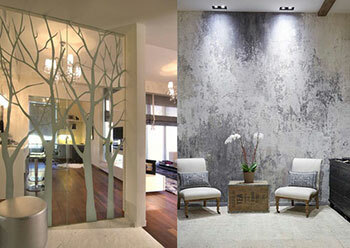 When it comes to wall decals, we’re spoiled for choice, and it’s become even more popular by the day. Not only is it cost effective, easy to use and purposeful, but it can be customized for every room – from the children’s room at the dentists, to the tranquil room of a spa where a meaningful quote or a peaceful bird might be displayed. Thanks to technology, these pieces can be made life-sized, and the removable vinyl cut-out transformed into any animal, symbol, object, or even person you want. One of the biggest concerns with stickers is that when peeling it off, you might cause damage to the wall, but vinyl decals are different as removing them without causing any harm to your wall is easy. Wall decals are something the whole family can use – children will love the vibrant, exciting images on offer, and if they grow out of it, there are always more demure subtle options. The ways to spruce up your walls and add some extra excitement are endless. If you’re feeling torn between all the options, remember that this is your space and anything can be adapted and altered to make you feel as comfortable as possible in a home that reflects not only your unique style but the different characteristics of everyone in your family.